← Chat with anyone on Facebook! 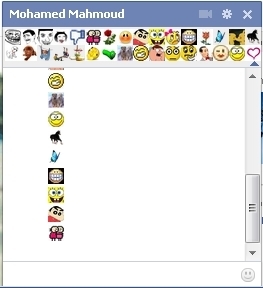 Mohamed Mahmoud updated his extension, again! Get it here while it’s hot! And if you need help to install the extension, check out this guide he made for firefox and google chrome! This entry was posted in Chat Codes and tagged animated, anonymous86, chat, chrome, code, codes, emoticons, facebook, firefox, gif, google, google chrome, greasemonkey, Le Boss, Mohamed Mahmoud, pictures, small, smiley, smileys, smileyti.me, source, sourcecode, taher, Taher Sellami, techez, userscripts, You Mad, youtube. Bookmark the permalink. I was very pleased to seek out this net-site.I wanted to thanks for your time for this wonderful read!! I undoubtedly having fun with each little bit of it and I have you bookmarked to check out new stuff you weblog post.